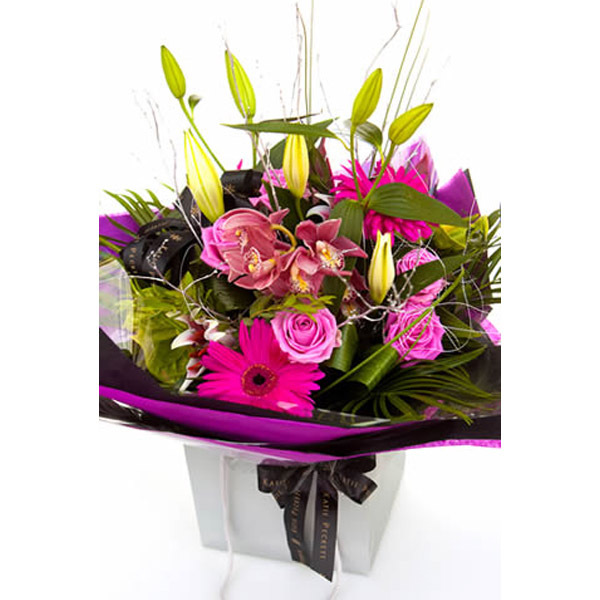 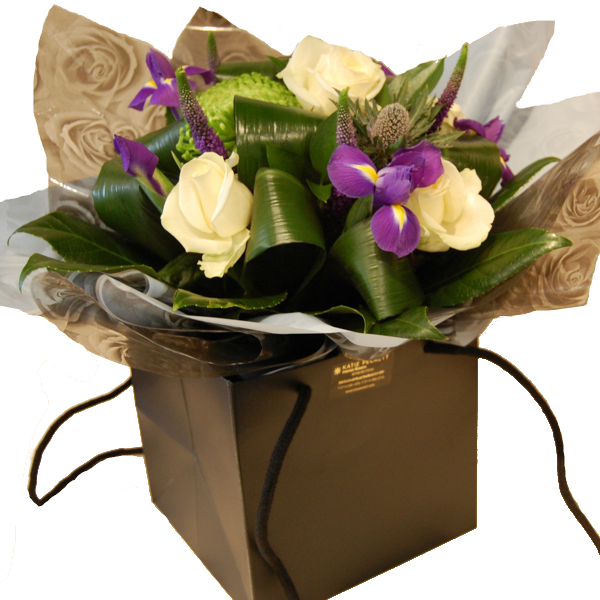 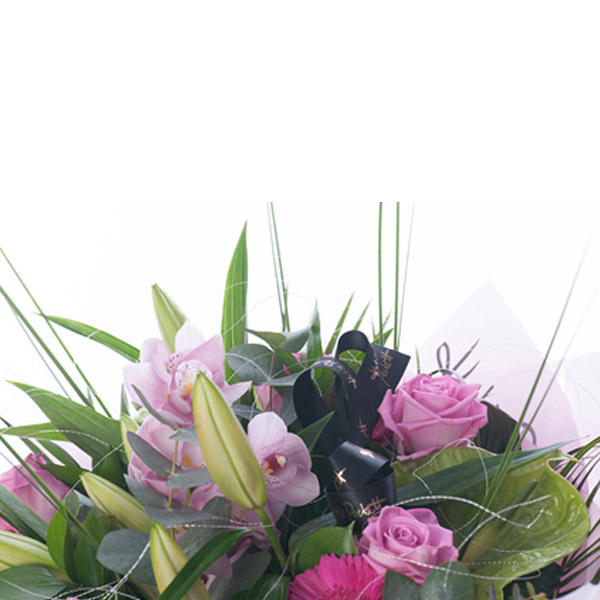 An absolutely stunning bouquet containing roses, oriental lilys, anthuriums, large stem orchid, steel grass and seasonal foliage’s hand tied in a water-bomb and Katie Peckett gift box with ribbon to finish. 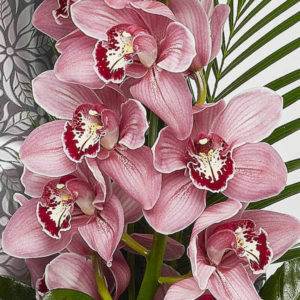 SKU: KP_103. 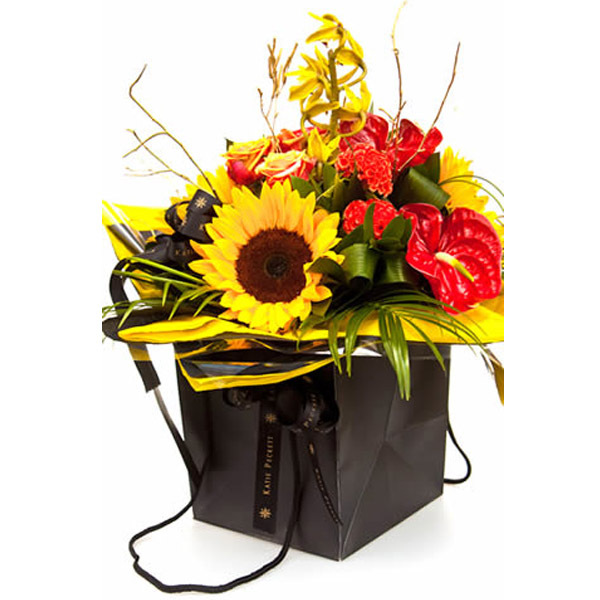 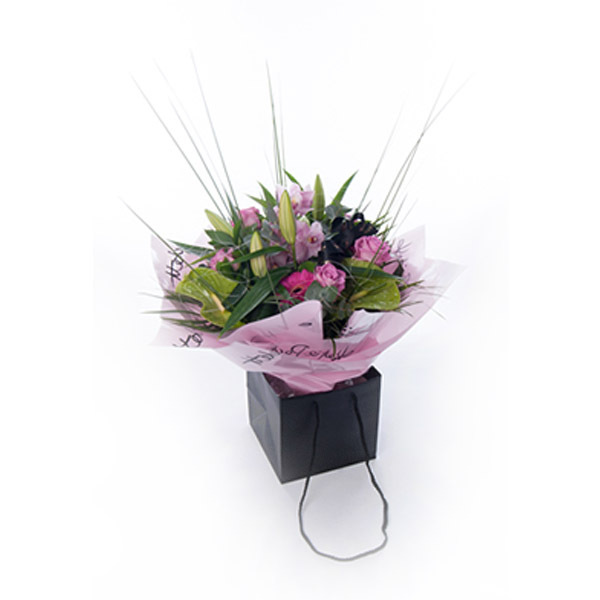 Availability: In stock Size: N/A Shipping Weight: 0.005 kg Categories: Flower Bags, Mothers Day.